Each assignment is worth 100 points. Read instructions carefully and be sure to complete all aspects of the assignments. The assignment was developed to correspond to chapters/topics we will be studying throughout the term. You will get the most out of the assignments if they are done while – or shortly after – we study a particular topic/chapter. Therefore, you will need to turn in your work by the deadlines designated in your syllabus and on the assignment sheet. No late assignments will be accepted. All written assignments must be typed and double-spaced. Please use APA rules of citation. The deadline of submission is on 4 December 2018. Only hard copy of the assignment will be accepted. themselves and other people in the workplace or at home. Write a reflective essay on the importance of Human Biochemistry to nursing practice. You can pick any topic from different chapters to discuss and relate that to nursing. 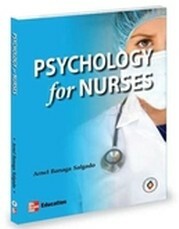 Select a title of your choice that reflects the importance of psychology to nursing. Introduce the topic in the context of Human Biochemistry.